The New Zealand aquaculture industry has a goal of reaching an export value of $1bn by 2025 and Sanford’s 210 aquaculture farms form an increasingly important part of our business, as well as making positive contributions to local communities. The farms are located across New Zealand and are managed using sustainable practices to help protect our stunning marine environments. 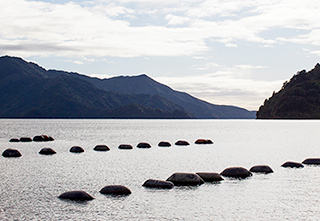 Sanford is the largest producer of Greenshell Mussels in New Zealand, with the majority of our integrated farming, harvesting and processing operations based in the pristine Marlborough Sounds, where the constant tidal flow provides ideal growing conditions. Our King Salmon are hatched in the snow-fed glaciers of New Zealand’s Southern Alps. They then grow to maturity in the cool, clean waters of Stewart Island, before being harvested and processed in Bluff for airfreight fresh, or deep-frozen for shipping.